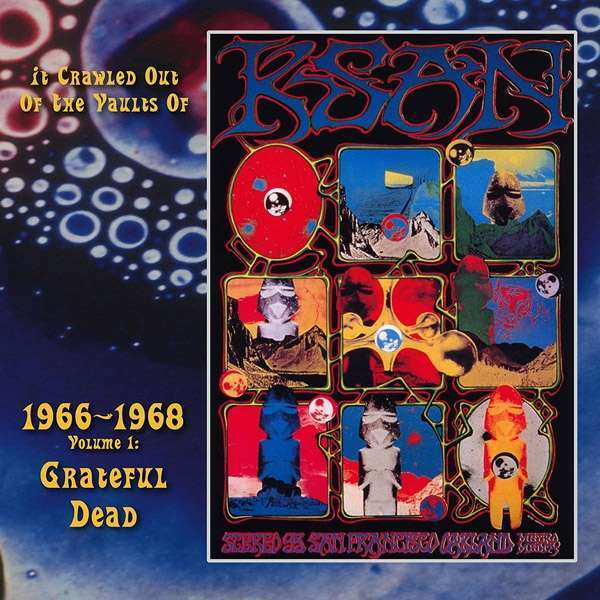 Der Artikel Grateful Dead: It Crawled Out Of The Vaults Of KSAN 1966 - 1968 Vol.1 wurde in den Warenkorb gelegt. 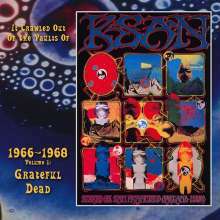 This is a recording of a cult event, THE GRATEFUL DEAD live at the Filmore Auditorium on November 19th 1966. Recorded before their first album came out, this record features three primeval versions of tunes from their debut record and eight goodies, standards and originals, that were not featured on any official studio and live recording up to 1970's "Working man's dead". We are right there, on this magic night in November 1966 when psychedelic rock was still something fresh and exciting and the emerging hippie movement had not exploded yet. That came half a year later with the invasion of Haight-Ashbury. But these recordings are not only of historical importance, their musical value lies on an amazing level. The band smokes on stage throughout the performance. The sound is muggy for sure but each instrument comes through as it should and the simmering duels of guitar and organ make your head swirl. This album will certainly make the young generation of 60s music aficionados go crazy. A new beautiful cover artwork and some good work on the overall sound quality restoration make this album a joyful experience. And be sure, something like this 17 + minutes version of "In the midnight hour" will have rarely hit your turntable. The overall atmosphere is just haunting. Even their official "Live / Dead" album will never reach this intensity. The release reminds of the early DOORS or IRON BUTTERFLY live recordings released in the last few years. A band at it's prime with the world to gain and nothing to lose.